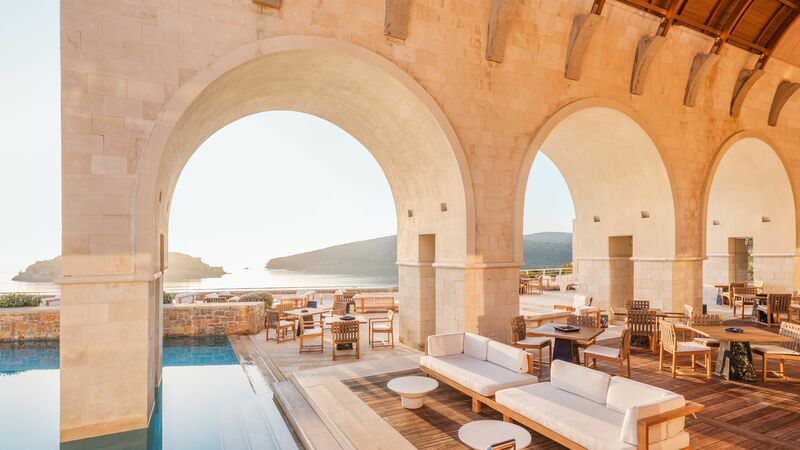 A recommendation from Condé Nast traveller promises exciting things and the Blue Palace, a Luxury Collection Resort & Spa certainly doesn’t disappoint. 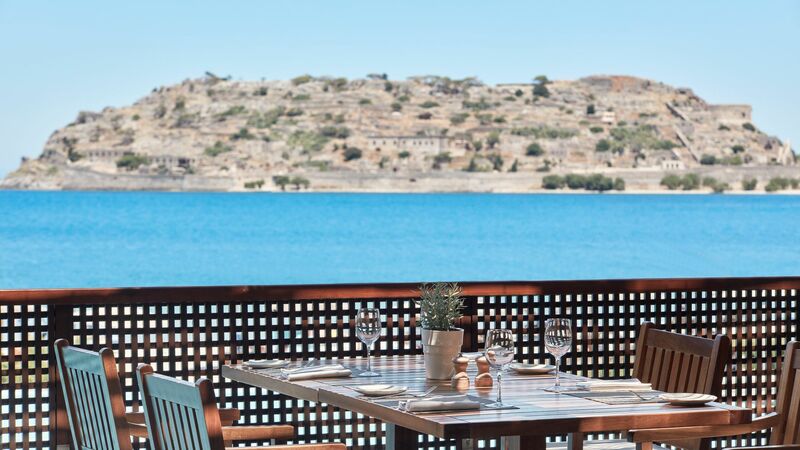 Overlooking a beautiful bay with views of Spinalonga (the island immortalised in Victoria Hislop’s The Island), this hotel is a treat for all the senses. The rooms are as impressive as the views – from a classic guestroom right up to the jewel in the crown, The Royal Blue Villa – a three-bedroom villa with private heated pool. Honeymooners will fall for the romantic views and private plunge pools of the Superior Bungalows and there are plenty of options for families travelling with children. Five diverse restaurants offer something to please every palate – from elegant Italian cuisine at Isola to modern pan-Asian at Asia Deep Blue. After dinner make time for a drink in the scenic Arsenali Lounge bar – overlooking the sea it’s a beautiful spot to enjoy a cocktail. The Blue Palace is also the perfect base for some gentle exploring. Head into the charming hamlet of Plaka, where among the narrow streets you’ll find a selection of tiny restaurants, tavernas and cafés for a lunchtime snack or buzzy evening drink. For a day trip take a boat over to the former leper colony of Spinalonga for a breath-taking history lesson. Hotel child prices apply to ages 2–12 years. The hotel has 251 rooms. 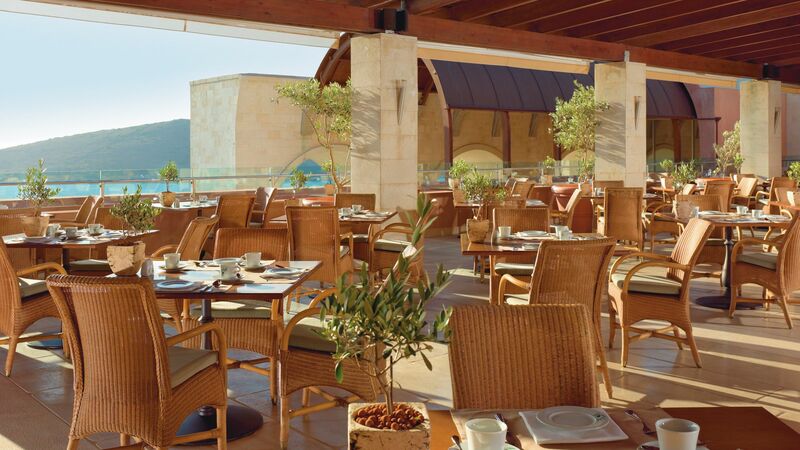 Enjoy a classic American buffet style breakfast or dinner at the scenic Olea. There’s even champagne on offer at breakfast for a reviving Bucks Fizz or two. The hotel's main restaurant serving daily American buffet breakfast with Champagne as well as occasional buffet dinners. 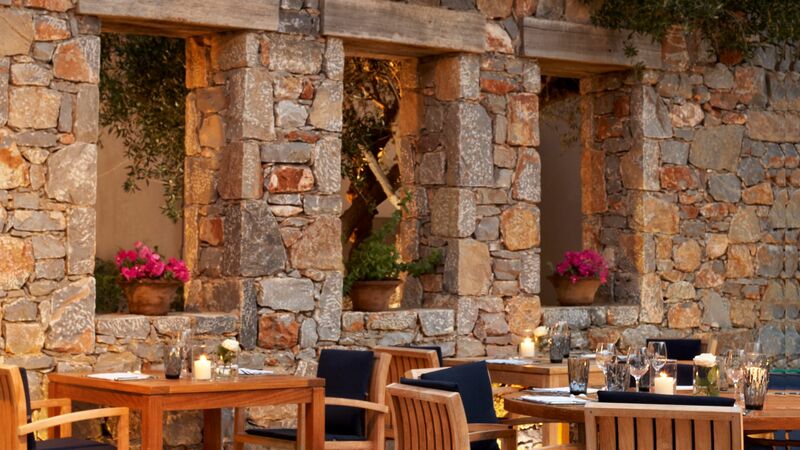 Make time for a relaxed lunch or dinner at this elegant poolside restaurant with stunning panoramic views. Open: 12:30-16:00 from June to Mid September, 19:00-23:30 from May to Mid September and 18:30-23:00 from Mid September to October. Closed Mondays and Saturdays. Meals at this restaurant are included for Dine Around (Half Board) guests. Guests on half board can eat dinner at this restaurant or switch dinner for lunch. This stylish restaurant serves modern pan-Asian fusion cuisine ranging from Japanese to Thai. Open: 19:00-23:30 from June to Mid September and 18:30-23:00 from May to Mid-October. Closed Thursdays. Dinner at this restaurant are included with the Dine Around (Half Board) option. Offering expertly cooked steak, Flame is the ideal choice if you’re celebrating a special occasion on your holiday. Open: 19:00-23:30 from June to Mid September and 18:30-23:00 from May to mid–October. Closed Tuesdays. Guests on half board can eat dinner at this restaurant. Gentlemen are required to wear long trousers at dinner. A picturesque Greek taverna serving local specialities and fresh fish, the waterside location is as delicious as the dishes. Guests on half board can eat dinner at this restaurant or switch their dinner for lunch. From daytime snacks and pool and beach service to occasional night-time DJs and designer cocktails, Isola is a fun and relaxed option. With cosy lounges overlooking the beautiful sea views the Arsenali Lounge Bar was made for enjoying a couple of sundowners. Cool and calm, the Votsalo bar offers complimentary Wi-Fi and enjoys stunning views of the resort. The private 200m pebble beach is surrounded by stylish wooden decking and comfortable loungers. Those staying in an Island Luxury Suite or Private Villa have access to ‘The Haven’ an exclusive stretch with an elite team of staff and goodie bags containing beach essentials. 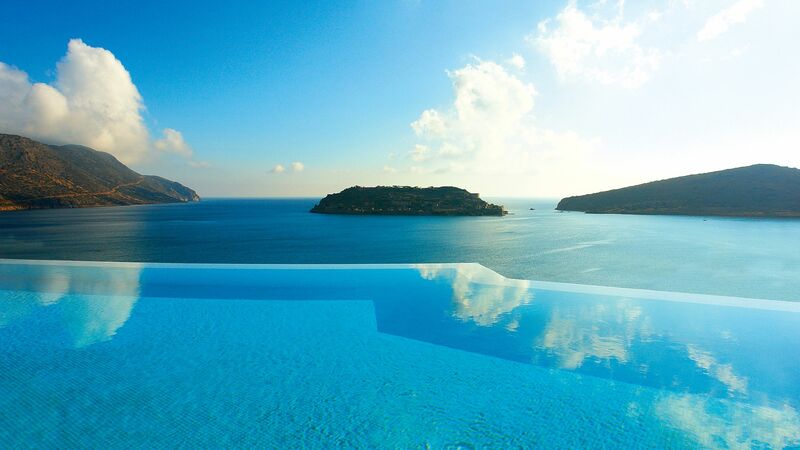 From the 140 private plunge pools to the three main outdoor pools you’re never far away from water at Blue Place. An additional two children’s pools mean family fun needn’t spoil a quiet break. Located on the beach, the Elounda Spa combines the natural landscape and world-class treatments to create a uniquely zen feeling. 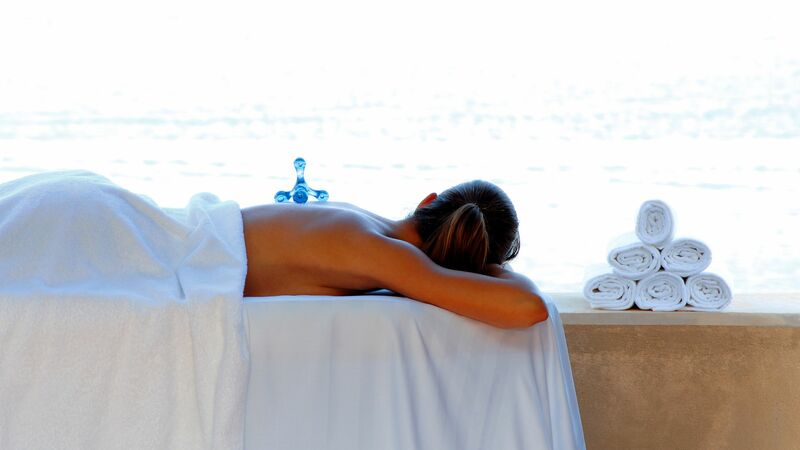 With 23 treatment rooms plus a fully equipped gym, impressive timetable of classes and signature Thalassotherapy treatments it’s a one-stop shop for total mind and body health. Children under the age of 16 are not allowed in the spa facilities between midday - 20:00. The water sports centre offers a range of activities to try at the beach. Make the most of the PADI diving centre, water skiing, wake boarding and more. You can also book boat trips and explore the coastline. 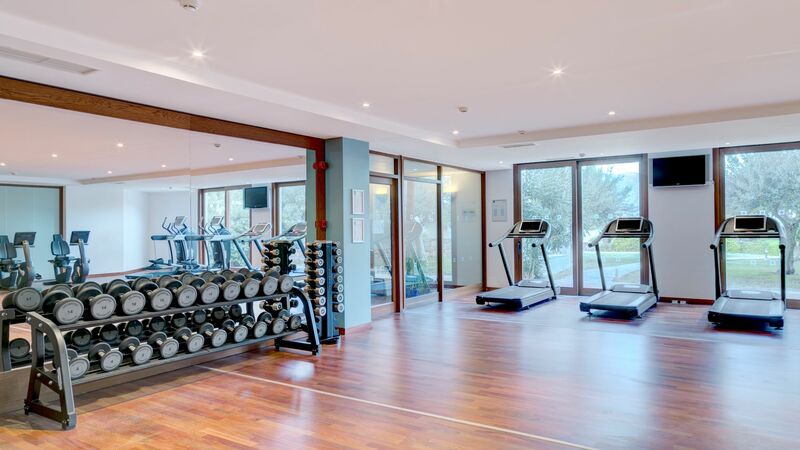 Families and couples alike will love the sports facilities at the Blue Palace. There are two flood lit tennis courts, billiards, table tennis and biking. Blue Palace, a Luxury Collection Resort & Spa, is found nestled on the north east coast of the Greek island of Crete, in Plaka. 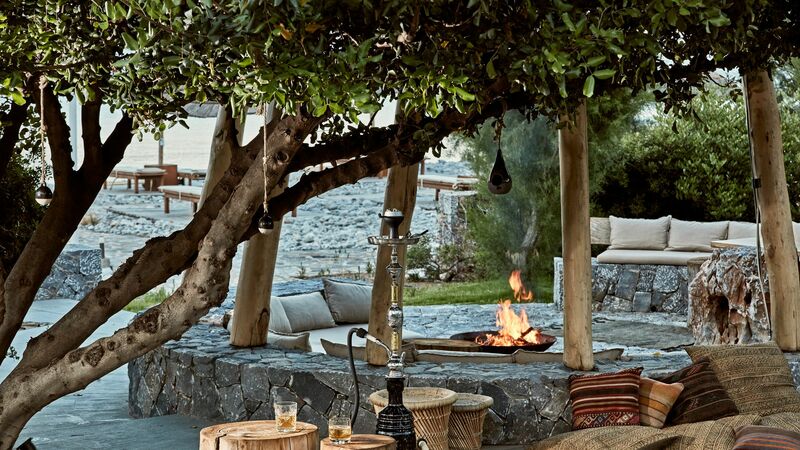 It’s located close to a pebbly beach and enjoys spectacular views of Spinalonga Island. This former leper colony is home to a historic fortress and is the setting for Victoria Hislop’s best selling book, The Island. Plaka itself takes you back in time to the idyllic little villages and beautiful whitewashed architecture of the Greek islands. 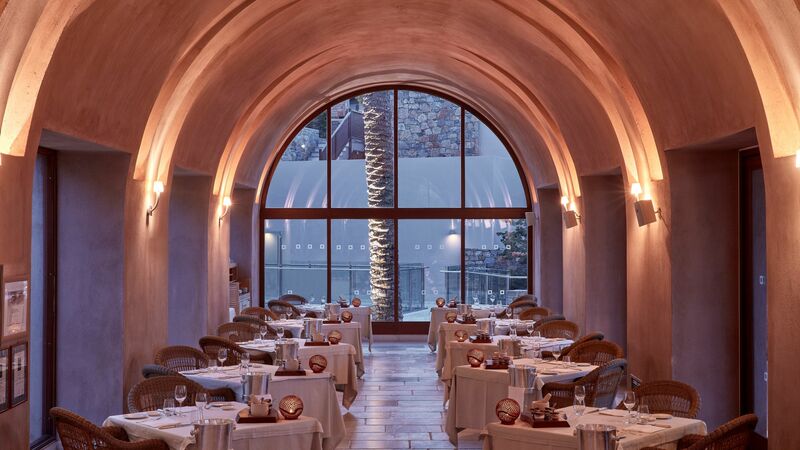 Head into nearby Elounda for a bustling harbour area and a selection of authentic restaurants. It also has a sandy beach where you can spend long lazy days soaking up the sun before ordering refreshments straight to your lounger. 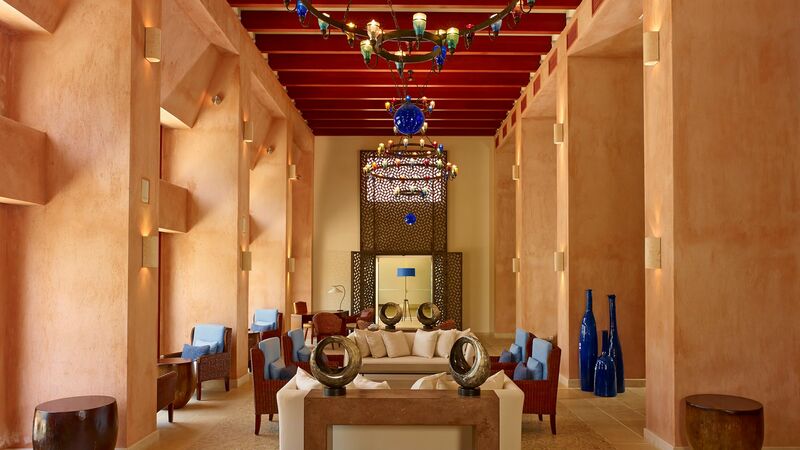 Blue Palace, a Luxury Collection Resort & Spa, is an hour and ten minutes’ drive from Crete Heraklion Airport. Decorated in natural colours, the Classic Rooms offer a king size or two twin beds, comfortable sitting area, marble bathroom and a balcony with side sea view. Enjoy the stunning sea views from the private balcony of your Superior Bungalow Sea View. Featuring a king size or two twin beds with luxurious cotton sheets and pillow menu, these rooms come equipped with marble bathrooms and comfortable sitting area with coffee table and writing desk. With stunning views of Spinalonga island, these Superior Bungalows offer a private veranda with sun loungers and 22m² plunge pool in addition to all other amenities found in standard Superior Bungalows. 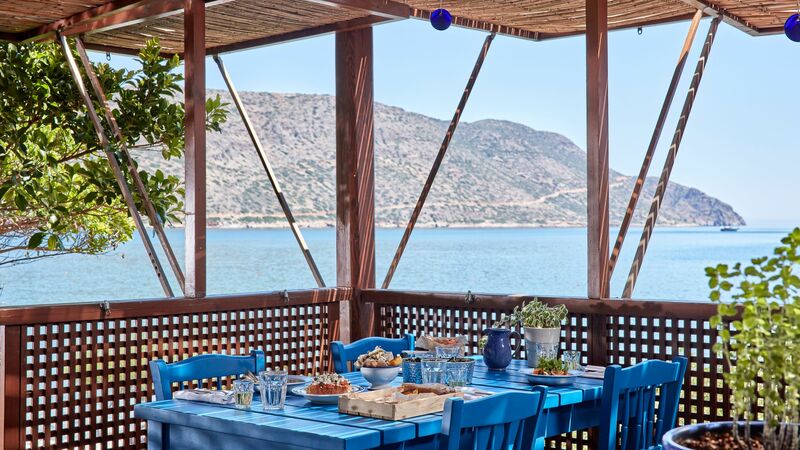 With stunning views of Spinalonga island, these Superior Bungalows offer a private veranda with sun loungers and 22m² plunge pool in addition to all other amenities found in standard Superior Bungalows. This bungalow benefits from a heated pool for added comfort. Ideal for families, the Two Bedroom Deluxe Rooms are situated over two floors with veranda offering a private heated plunge pool and views over the landscape. The lower level offers a spacious bedroom with king-size or two twin beds, en-suite bathroom with bathtub and separate shower and an additional guest cloakroom. Upstairs, there is an airy master bedroom with king-size or two twin beds and a shower room. Staircase is fitted with childproof gates. Varying in layout between open-plan, bi-level and one bedroom, Junior Suites include a bedroom with king-size bed or two twin beds, spacious sitting area with contemporary furnishings and a veranda with beautiful sea views. The one-bedroom or open plan style Junior Suites offer an expansive veranda with private heated plunge pool and views over the landscape. Inside, the bedroom is equipped with king-size or two twin beds, marble bathroom and a comfortable sitting area. Mediterranean Maisonettes are set over two floors, featuring a spacious bedroom with a king-size or two twin beds facing the terrace on the first floor, a living room on the ground floor, a luxurious bathroom with a whirlpool bathtub and separate shower, a small second bathroom and a marble and wooden deck leading to a private seawater infinity pool of approximately 22m². Deluxe Suites have a bedroom with a king-size or two twin beds, a luxurious bathroom with a whirlpool bathtub and separate shower, a spacious living room, two large terraces and a seawater infinity pool of approximately 44m². Island Luxury Suites feature a bedroom with a 4 poster king-size bed, two dressing areas, a luxurious bathroom, living area and a large terrace with a heated pool of approximately 30m² with sea views. Two Bedroom Suites Sea View Private Heated Pool measure 108m² and have elegant and fine decor. The suites have two bedrooms, a living room, large furnished veranda with infinity pool and sea views. The suite is equipped with a mini bar, safe, bathrobes and slippers, pillow menu and hairdryer. The Two Bedroom Villa is contemporary and furnished in a modern Oriental Mediterranean style. Both bedrooms have en-suite bathrooms. The sitting area leads to the veranda with private heated pool (28m²) and sea views. The Grand Villa has two bedrooms with en-suite bathrooms. Day beds surround the 31m² hydro jet pool which offers sea views, a second heated pool of 18m² is indoors offering the ultimate relaxation. The Grand Villa also boasts a private sauna, massage area and gym equipment. The Royal Blue Villa - Three Bedroom Sea View Private Heated Pool measures 290m² and has three bedrooms all with marble en suite bathrooms, living room, dining room and private heated pool. The suite is equipped with an outdoor BBQ, complimentary Wi-Fi, iPod docking station, Nespresso coffee® machine and a Play station. Guests have upgraded dining options including access to the VIP Breakfast Section of Olea Restaurant, in-room dining from any of the resort's restaurants, daily chef's treat and butler service. Save up to 20% discount on the hotel price for holidays between 19 April - 31 May 2019 and 01 September - 30 October 2019 or save up to 10% discount between 01 June - 31 August 2019 with a minimum 3 night stay booked by 15 May 2019. Guests receive a free upgrade to Half Board (based on buffet service in Olea restaurant) for holidays between 19 April - 10 June 2019 & 05 September - 30 October 2019 booked by 31 May 2019 (minimum stay of 3 nights is required). Superior Bungalow Sea View, Superior Bungalow Sea View Private Pool, Superior Bungalow Sea View Heated Private Pool, Superior Family Room Sea View, Two Bedroom Deluxe Private Heated Pool, Junior Suite Sea View, Junior Suite Private Heated Pool, Mediterranean Maisonette Suite Sea View Private Pool, Deluxe Suite Sea View Private Pool, Island Luxury Suite Sea View Private Heated Pool and Two Bedroom Suite Sea View Private Heated Pool. Guests receive special signature honeymoon amenities (offer must be requested at the time of booking and wedding certificate to be presented in resort) for holidays between 19 April - 30 October 2019. Sovereign guests receive a complimentary bottle of Cretan red wine in room on arrival. A minimum of 5 nights stay is required for the above special offers. the height of elegance and luxury. the rooms were large with high quality furnishing and fittings. shower powerful and the large marble bathroom was stunning. food and service was amazing , the location of the restaurant was perfect .... overlooking the sea. the local village is within walking distance and has many lively restaurants and tavernas. of course to have such amazing views their is a downside..... the pathways to the rooms were extremely steep , we made sure that we didn't forget to bring anything if we were going out as neither of us fancied the climb back to the room !!! I found this difficult as I sometimes have mobility issues so if you have mobility issues be sure to stay in a lower room. well worth every penny. We had a super 10 days here at the start of October. We arrived very late evening and were really impressed that a cold meat and cheese platter with greek salad was brought to the room for us. The room was lovely. Huge bed, sofa area and bathroom. The balcony was my favourite. Really private but with fabulous views..nice to sit out with a glass of wine or two. The only downside is a lack of drawers...plenty of hanging space but no drawers. The food was excellent ... we ate most nights in the buffet as the food was pretty high quality and the restaurant was nice.....not the frenzied lukewarm buffet you can sometimes get in large hotels. Loved the little buzzers on the sun loungers to reach the pool bar. The loungers were really spaced out which I really like. Plaka is a 5 minute walk...lovely little village with excellent food and decent different souvenirs to buy. There is a mini market too for water, wine and other supplies. Elounda is a ?? ?10 taxi ride away..... really recommend the lotus eaters, canally and our favourite, the ferryman. Spinalonga is a must do trip from Plaka.... if you go on a Sunday... its free entry. Also read the book the island which brings it to life. This was a high end hotel but very relaxed and informal. Definite recommend. The Blue Palace has many things to offer.The views are breathtaking as the hotel is set on a hill and on different levels.The beach has pebbles not sand but has a board walk to make walking easier.The main restaurant has a buffet and different options on different night.There are other restaurants but they come with quite a high supplement.There are lovely little restaurants in Plaka if you don?? ?t choose the half board option.It is advisable to have a private transfere from the airport as it takes approximately 80 mins to Elounda.We chose a bungalow with private heated pool which is a lovely touch with the stunning views looking over to Spinalonga island.Please be aware though that the HEATED pools are not that heated and you are paying extra for this luxury.During our stay both our neighbours complained about the pools temperature.We travelled to this resort in October 2017 and again this year.Climate wise October can be hit or miss.Last year was warmer during our stay.I did feel in this trip the service was not as attentive as last time.Even though we were a week earlier it?? ?s like the season had already ended giving off a more casual approach around the resort.All in all we loved both trips here and would recommend this hotel. We stayed here as a couple (w/o kids) Location: The hotel is located on a hill with great views to the village of Plaka and the bay with Spinalonga island. You can take taxi or bus to Elounda or Agious Nikolaus, but if you want to do some exploring I'd recommend a rental car. Building: The building is on the hill, so all rooms have views towards the sea. The building shows some signs of age, but it's still in a good condition overall. The territory is actually rather big, but walk able. Room: We had a room with private/heated pool. The room was not very big but of sufficient size. The bathroom had a walk-in shower and small tub. Sometimes there were some issues with the water pressure, but it wasn't constant so it didn't bother us. The best was the small terrace and pool. Even though we didn't use the pool too often, it was a nice perk. The weather was warm and sunny, but not too hot. Restaurant/Food: We booked half-board, so we had breakfast and dinner included in the main restaurant. There was an open buffet and we only paid for the drinks at dinner. The food was not very special, but it was good with enough selection and dinner had around 4-5 different themes during our 10 day visit. We also tried the Flame restaurant, where the food was of higher class (but also more expensive, even though they apply a credit due to the half-board). We either skipped lunch or had it at one of the restaurants in Plaka or Elounda. Fitness/Spa: We visited the gym every other day and it was great. It's not very big but had what we needed plus a nice view towards the beach/water. The spa is also very nice with a saltwater pool and saunas. There is also a private beach (but no sand). We stayed there only once, as the weather was not too hot and we wanted to visit other parts of the island. Also, we used the tennis court once (the hotel provides rackets and balls). Overall, this was a nice stay. The staff was very friendly and the hotel had all we needed. It didn't feel overly luxury to me, but that was ok. They do have a helipad and also private villa's probably you can get some more luxury experience that way. As Platinum Premier Elite, I was hoping to get an upgrade, but the hotel was 100% occupied during our first week (end of September), so we got the room we booked.